Last week, I saw a post on the Mercedes AMG Petronas Formula One Facebook page about Juan Manuel Fangio, one of the most successful and celebrated Formula 1 drivers in history. His birthday is June 24, and Mercedes celebrated his career, and his short but successful tenure with them. Fangio won the F1 drivers’ championship a record five times ( a record only broken by Michael Schumacher) and is the only Argentine driver to win the Argentine Grand Prix, a race he won a record four times, more than any other driver. 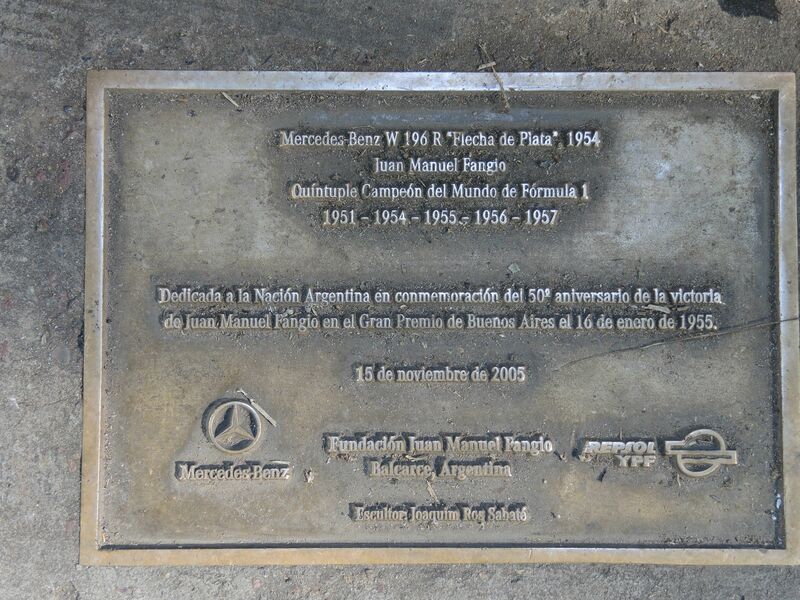 Seeing the Mercedes post reminded me of spotting a few tributes to Fangio when we visited Buenos Aires. Fangio was born in Balcarce, Argentina, about 400km south of Buenos Aires. 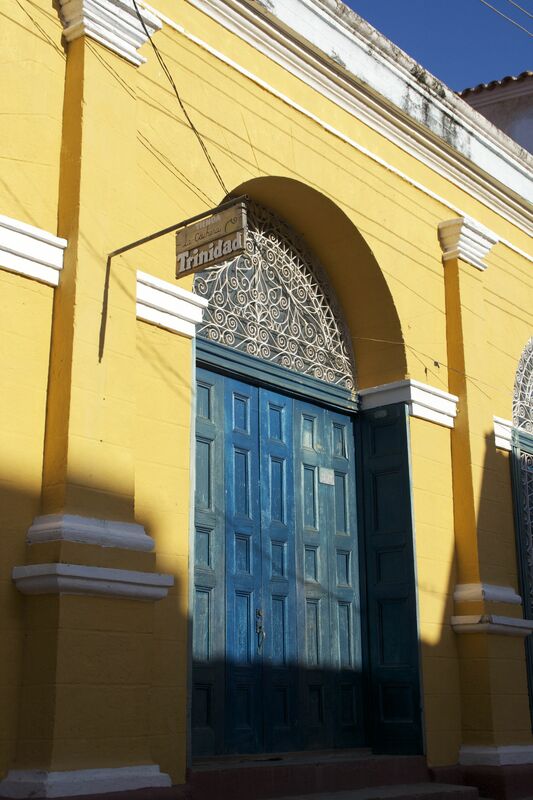 We first spotted a photo of Fangio when we were in the Palermo Soho district. 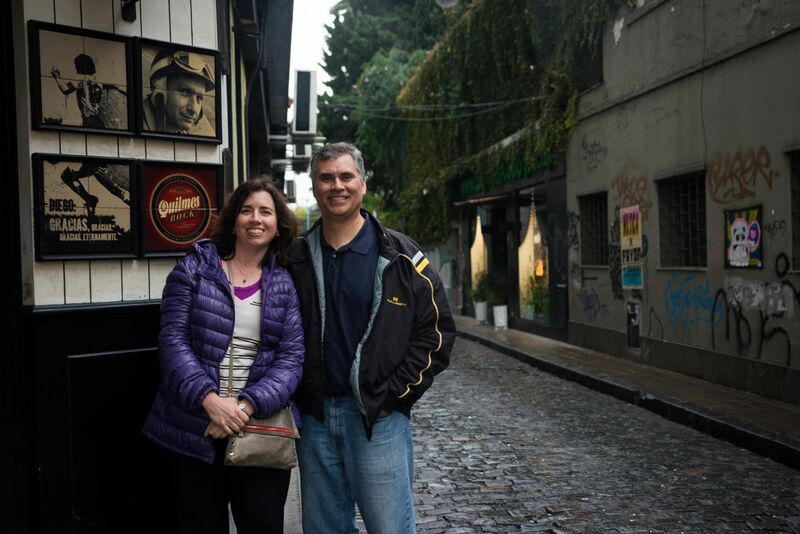 After a day-long private tour of the city, we ended in Palermo Soho and met Flytographer Paloma who snapped photos of us as we wandered the colorful streets. 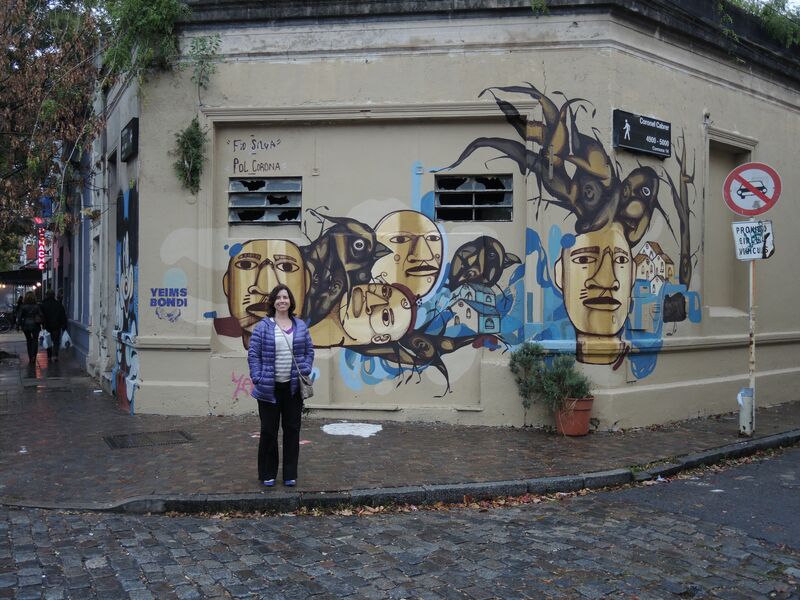 Street art in Palermo Soho, Buenos Aires. While stopped in front of a bar, we noticed a picture of Fangio and had our picture taken with him. We spotted this photo of Fangio on a bar when walking around Palermo Soho with our Flytographer Paloma. 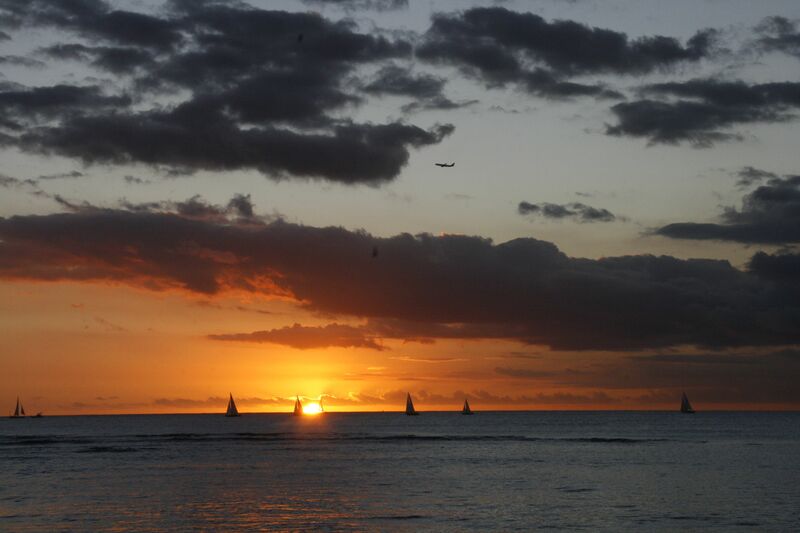 Photo credit: Paloma, Flytographer. 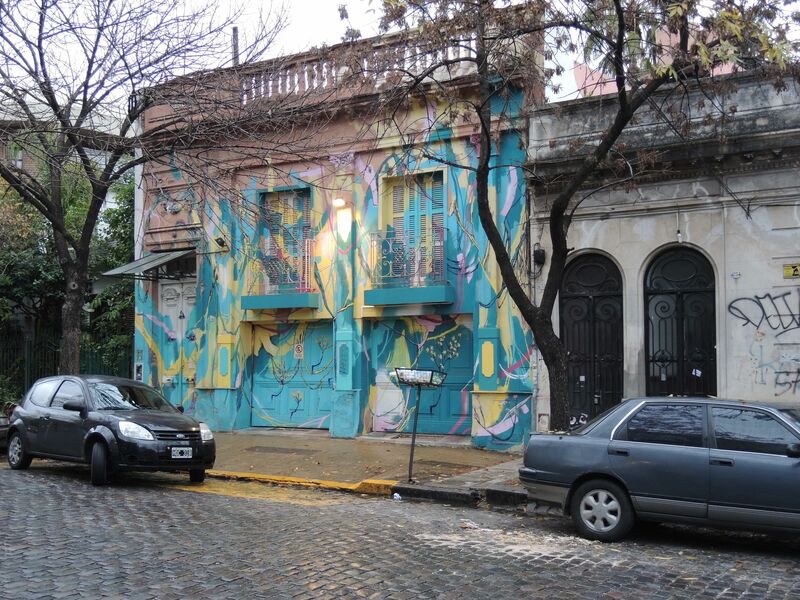 Beautiful colors on this building in Palermo Soho, Buenos Aires. 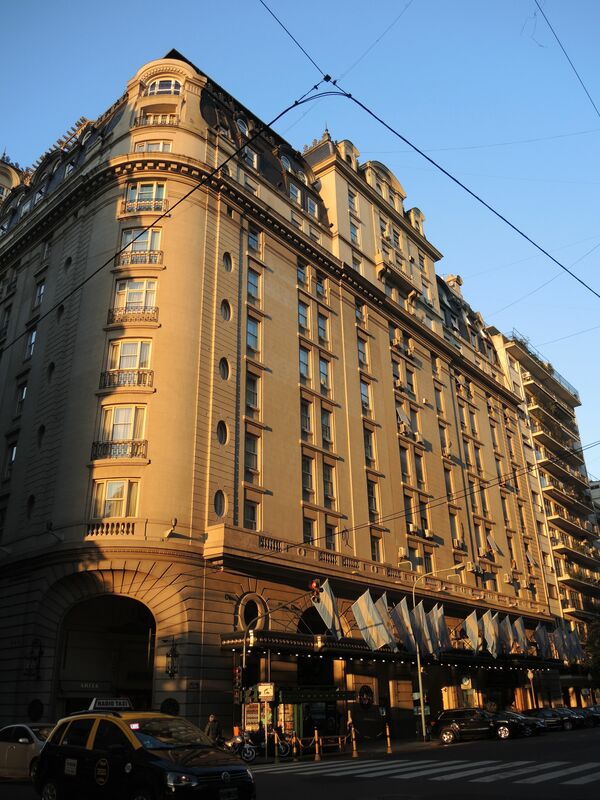 Later during our stay in Buenos Aires, we stayed at the Hilton Buenos Aires in Puerto Madero, a relatively new barrio that is filled with new high rises and glamorous apartment buildings. One of the best parrillas in Buenos Aires, Cabana Las Lilas, is in one of the old warehouses in Puerto Madero. 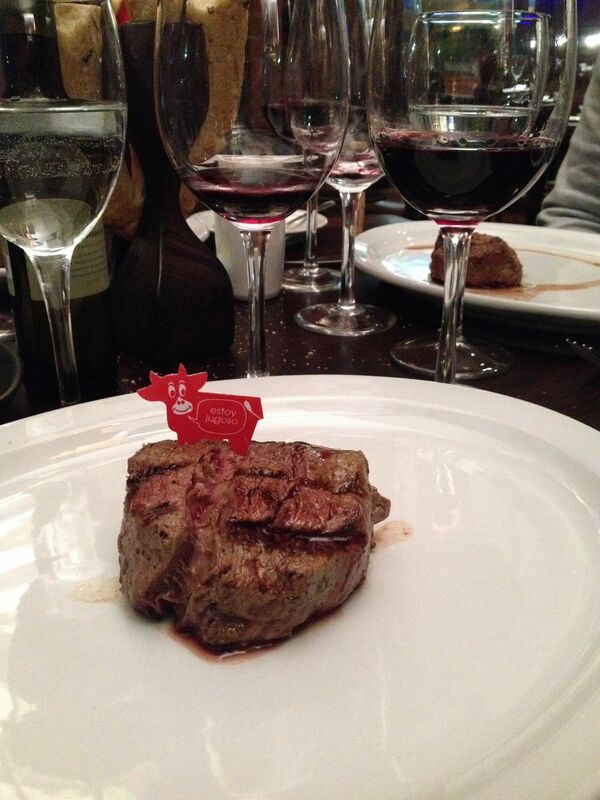 We dined there one night with Dave’s colleagues, and the beef was indeed delicious. The wine list is also quite extensive. It seems that the only picture I took was of my entree – I think we were too focused on the conversation and ordering Malbec wine! My beef entree at Cabana Las Lilias. 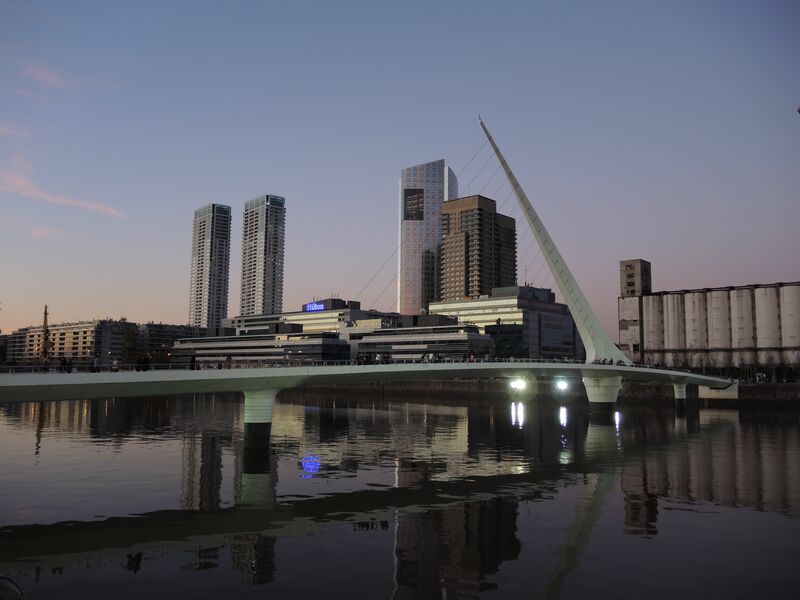 One of the landmarks in Puerto Madero is the Puente de la Mujer, the women’s bridge. 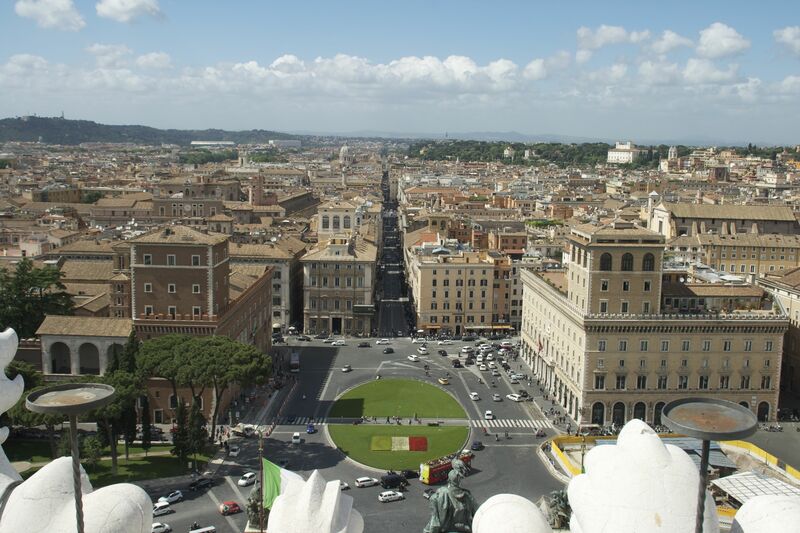 Designed by Spanish architect Santiago Calatrava, it is said to be reminiscent of a couple dancing the tango. 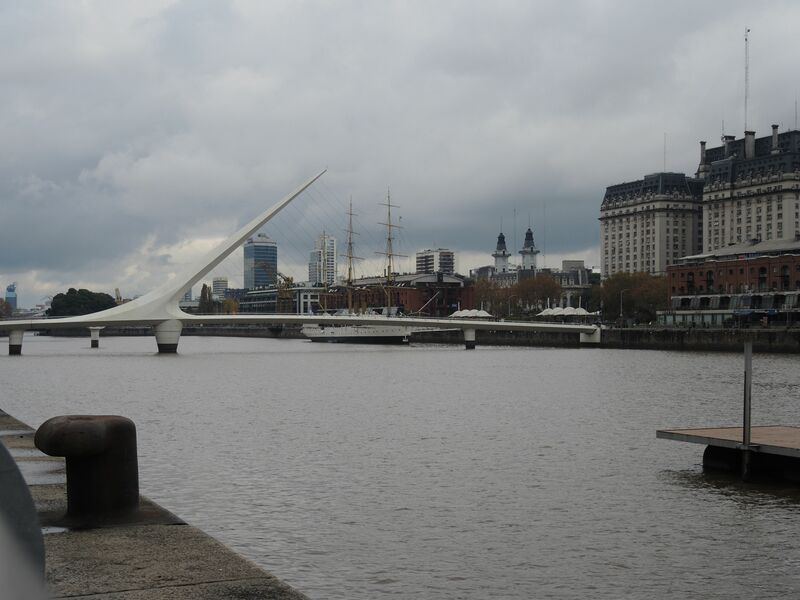 Puente de la Mujer (Woman’s Bridge) in Puerto Madero with the Hilton Buenos Aires in the background. 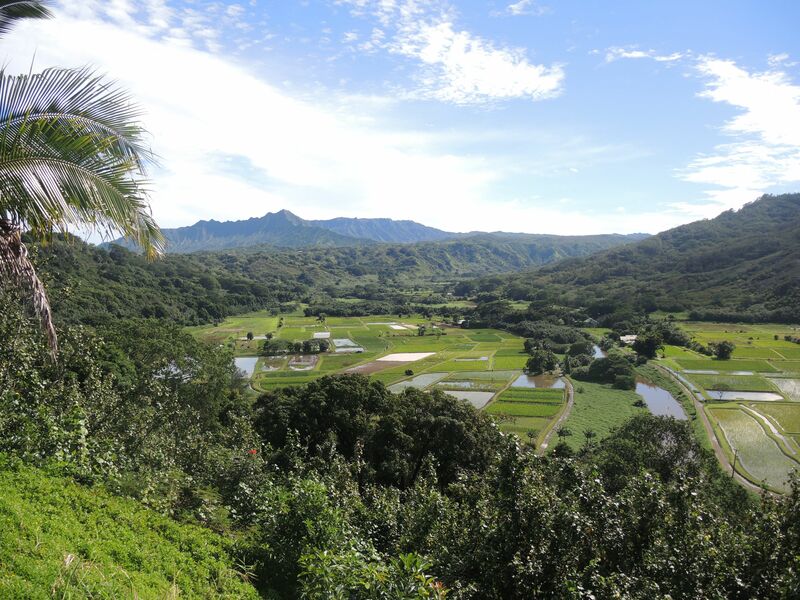 A day view of the Puerte de la Mujer. While exploring the area our first morning in in this section of the city, we saw a Fangio statue, conveniently located in front of a Mercedes Benz dealership. 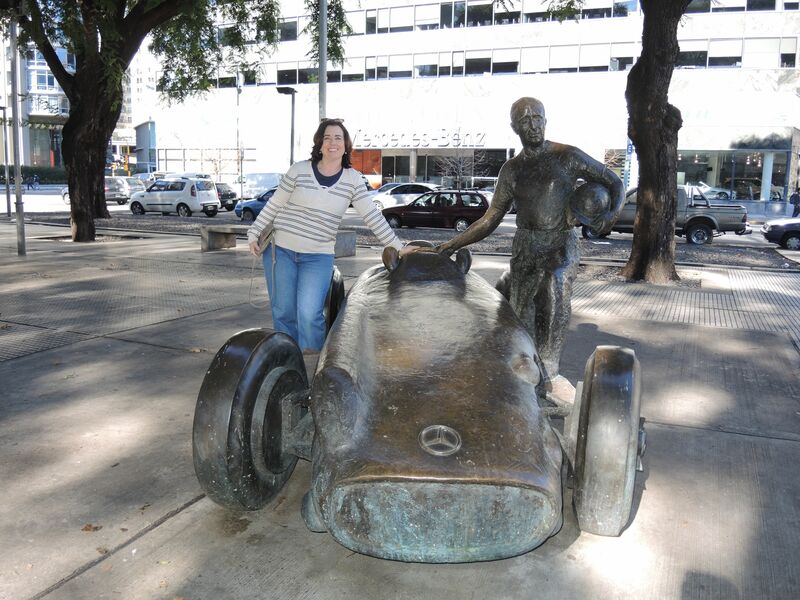 Statue of Juan Manuel Fangio with a Mercedes F1 car in Puerto Madero (note the Mercedes-Benz dealership in the background). Plaque next to the Fangio statue celebrates his five Formula 1 World Championships. The statue was dedicated to commemorate the 50th anniversary of his victory in the Grand Prix of Buenos Aires on January 16, 1955. The sculptor is Joaquim Ros Sabate. As fans of Formula 1, it was nice to see a few small tributes to one of the greatest drivers while we visited Buenos Aires. There is a Fangio museum in Balcarce, Argentina, that showcases his life and displays fifty cars. To read more about Fangio and his F1 career, particularly with Mercedes-Benz, see their post on him here.